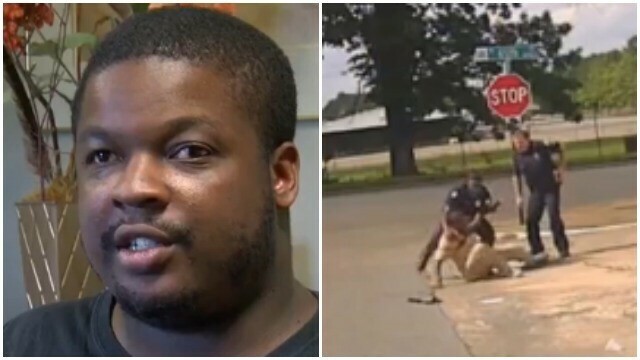 When Little Rock, Arkansas police officers asked a legally blind man to come over and talk to them because he “fit the description” of a suspect, he complied with their request, but he was shocked when they slammed him to the ground. Because he is legally blind and claims he can only see shadows, Wilson did not know who was calling out to him. “I could have possibly been getting robbed. I didn’t know what was about to happen,” said Wilson. The Little Rock Police Department officers claim they had just gotten a call about someone who looked like Wilson and was chasing or running away from someone. After seeing Wilson, they wanted to question him. 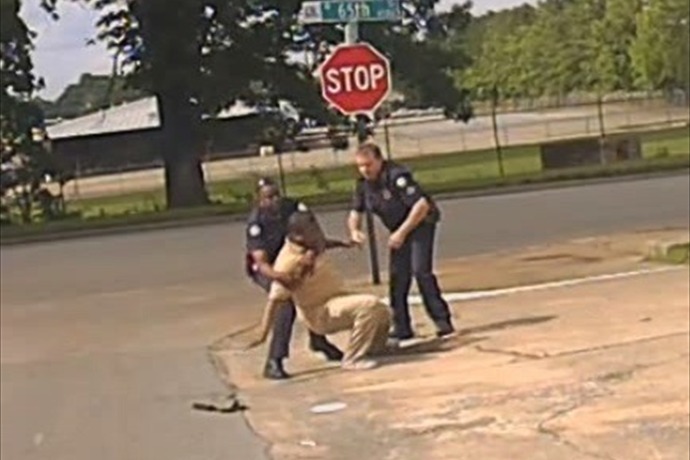 A dashboard cam video shows how the officers tell Wilson to put his hands behind his back, just before taking him to the ground. In a police report, one of the officers said that Wilson “pulled violently causing me to lose grip.” He added that he was “afraid Wilson would strike myself or my partner with the handcuffs.” However, that is not what the dash cam revealed. Police reports indicate that the officers also thought that something sticking out of Wilson’s pants pocket might be a gun, causing them to use extra caution with him, but it turned out that it was only a clock which reads time to blind people. “If anything, the officers should have been trying to help me,” Wilson states, questioning why they felt the need to throw him to the ground. After the attack, Wilson went to the hospital to be treated for his injuries. He was diagnosed with a strained lumbar. Wilson has since filed a formal complaint against the LRPD, but the department has declined to comment, citing an ongoing investigation into the case.